The Times/Chicken House Children's Fiction Competition Is Now Open! Are you an unpublished and unagented writer with an original and exciting story for 7-to-18-year-olds? If so, why not enter our competition. The prize will be a worldwide publishing deal with Chicken House, with an advance of £10,000 (subject to contract), plus the offer of representation from a top children’s literary agent. All longlisted entrants will receive a reader’s report of their work. This year, we’re delighted to introduce the option of online entry to the competition. Our annual competition opens on Monday 27 June 2016. The deadline for entries is Sunday 18 December 2016. Any entries received after the deadline will be disqualified. There are now two ways to enter the competition, online OR (for UK entrants only) by post. Please choose one of these options and follow the instructions below. A page-long, single spaced covering letter explaining why you believe your novel would appeal to children and telling us a bit about yourself. A page-long, single spaced synopsis of your story. Please include all the main points of your plot in your synopsis, including ‘spoilers’! The full manuscript, double spaced and in size 12pt font, with numbered pages. Once you have created your document, please enter here. If you have any questions regarding entry to the competition, please see ourCompetition FAQs or, if you can’t find your answer, emailhello@chickenhousebooks.com. 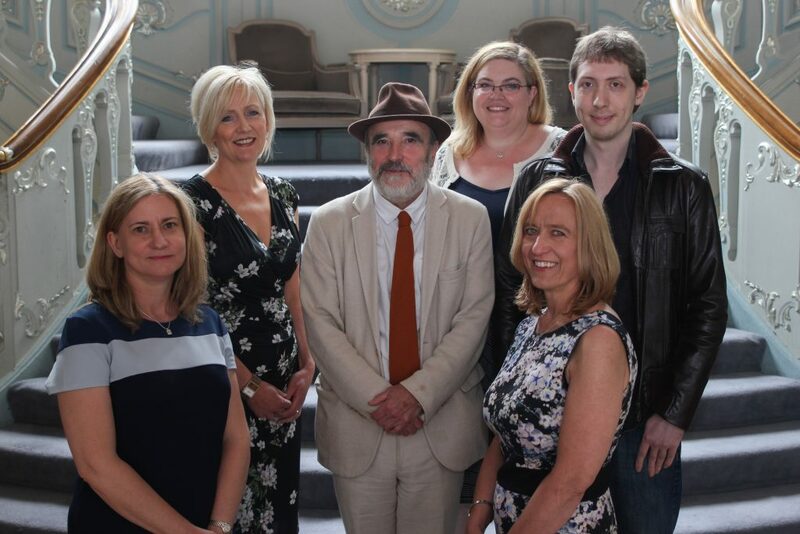 Barry Cunningham and the shortlistees at the 2016 Times Fiction Competition judging day. Please mark your envelope CHILDREN’S FICTION COMPETITION. If you wish us to acknowledge receipt of your entry, you must enclose a self-addressed postcard with sufficient postage attached. ... for entering the competition are below!